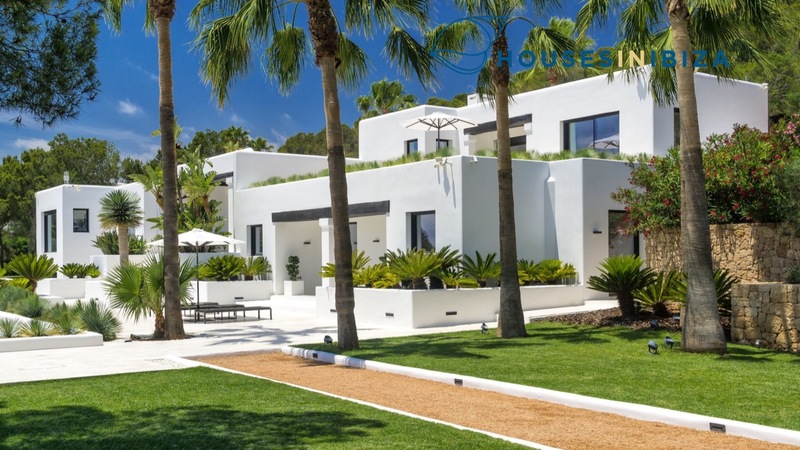 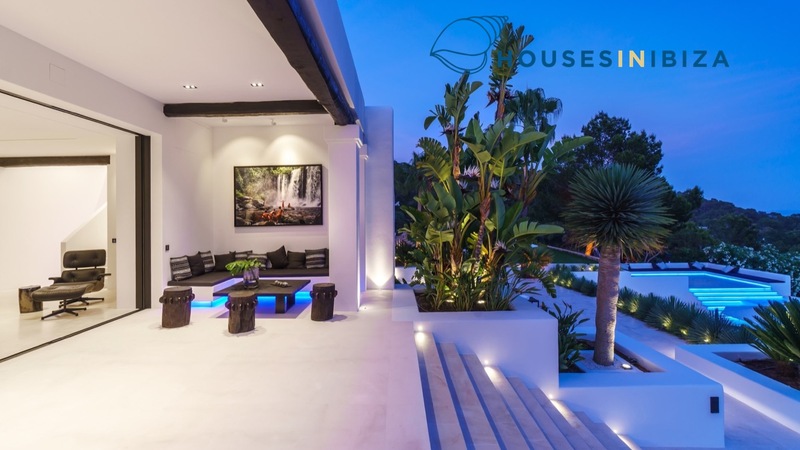 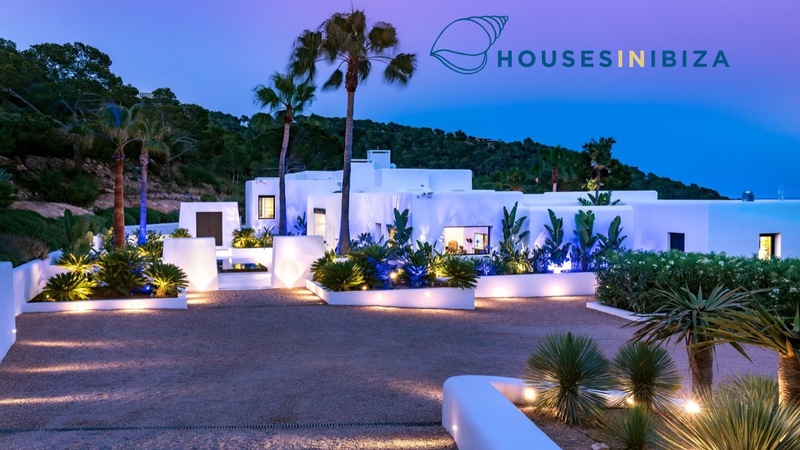 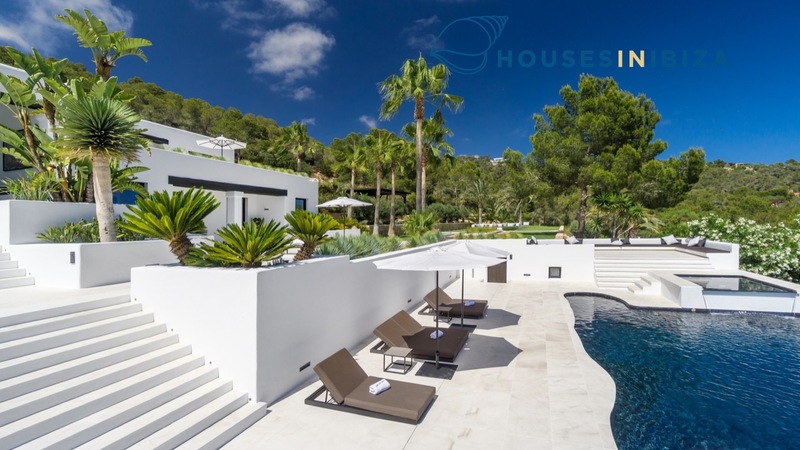 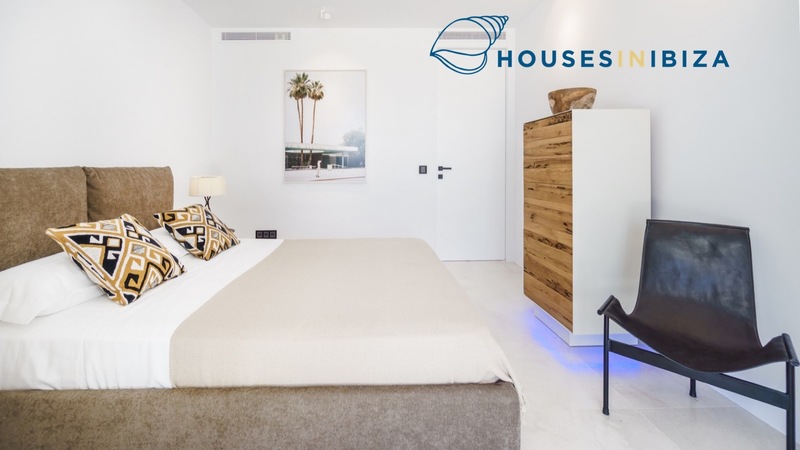 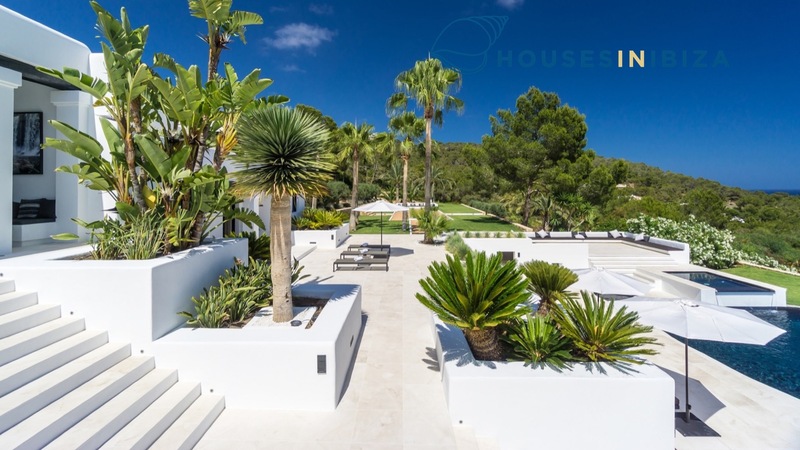 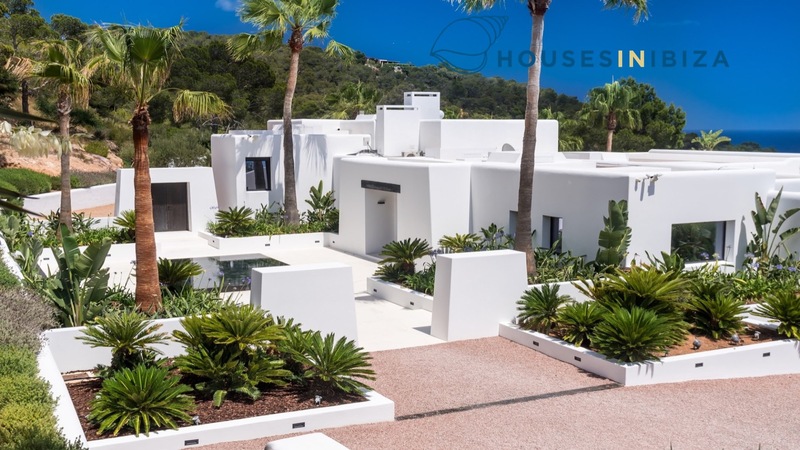 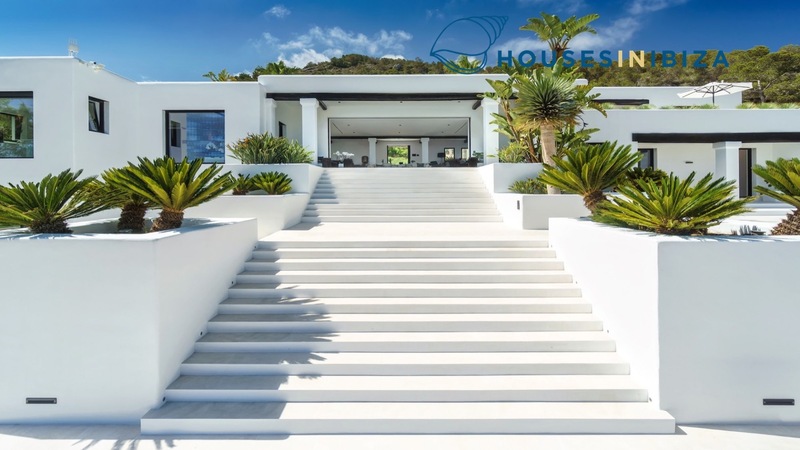 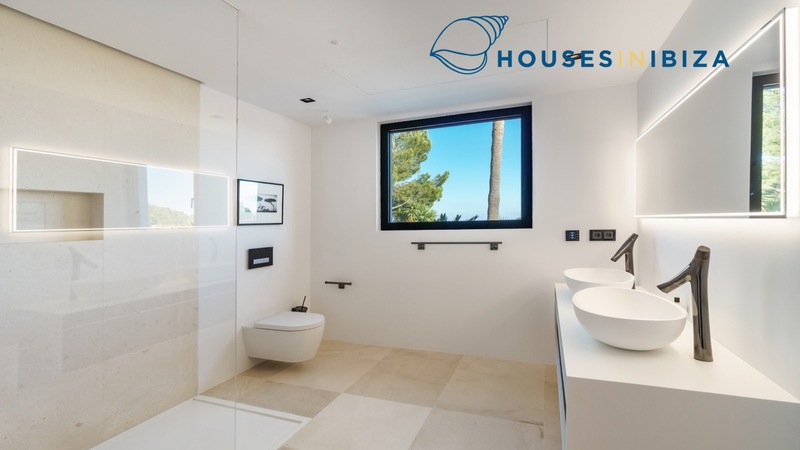 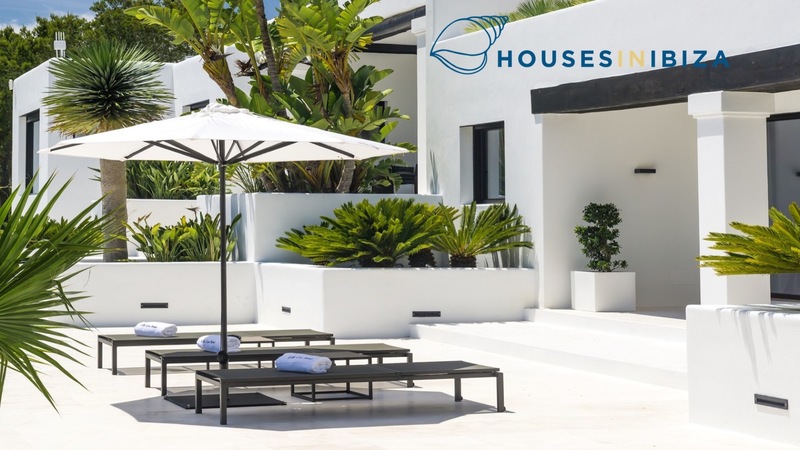 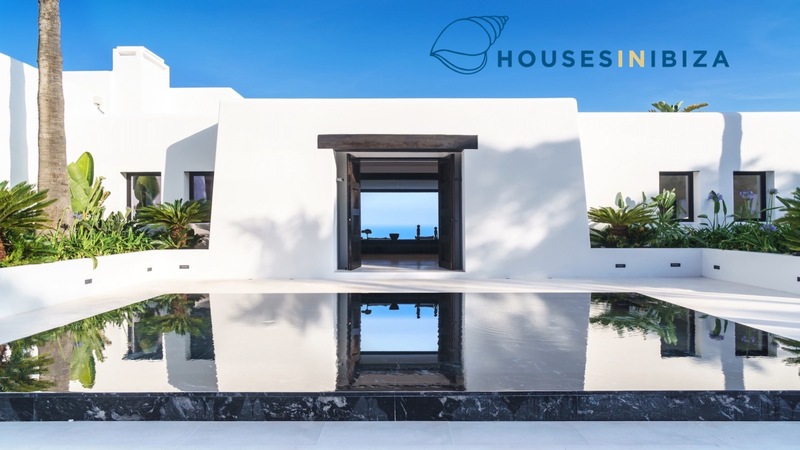 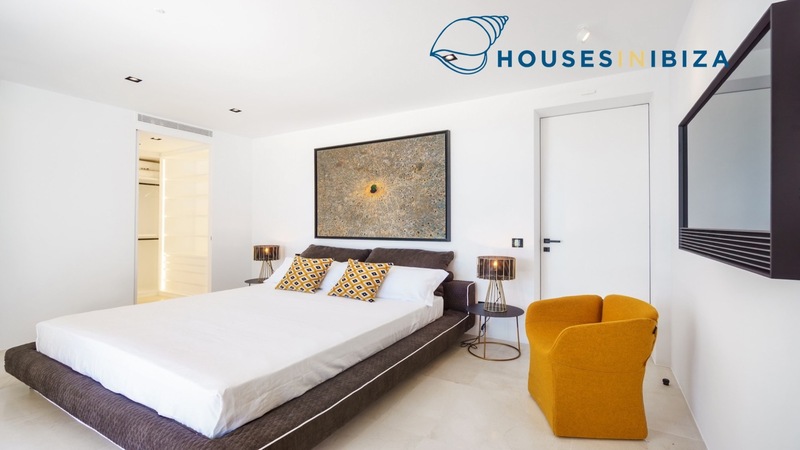 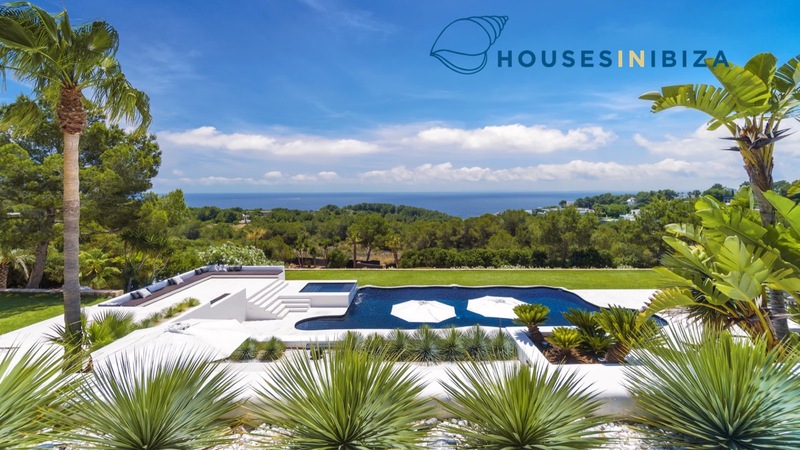 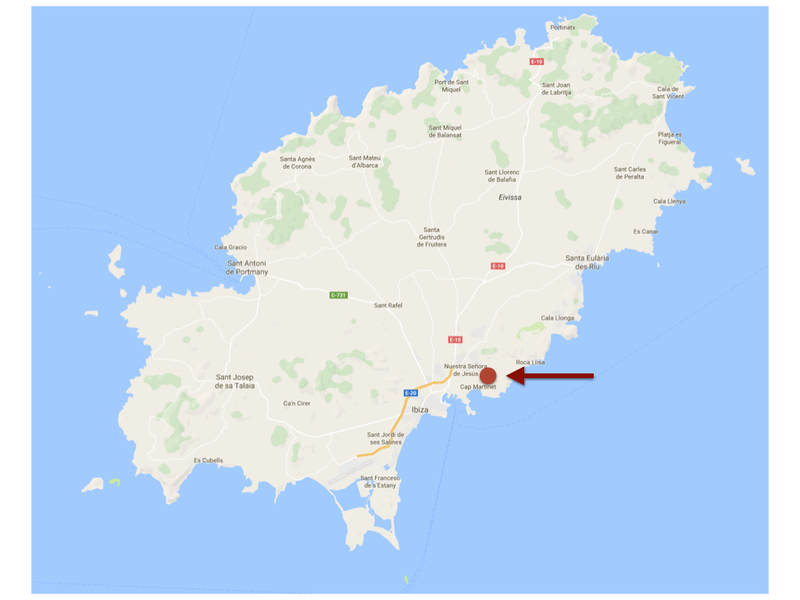 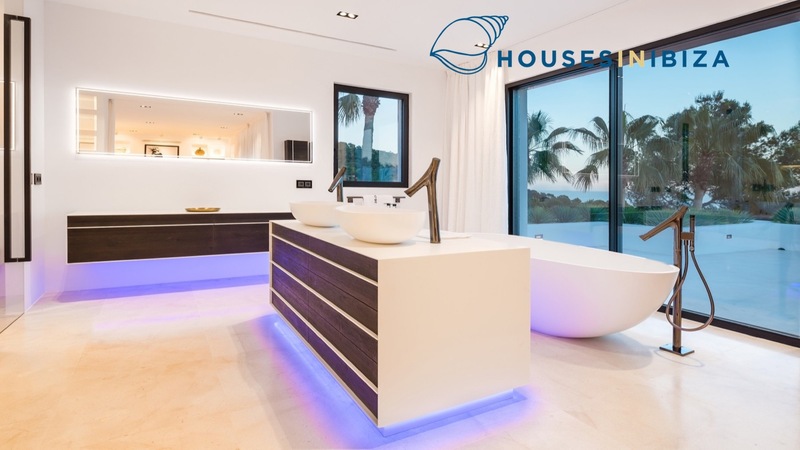 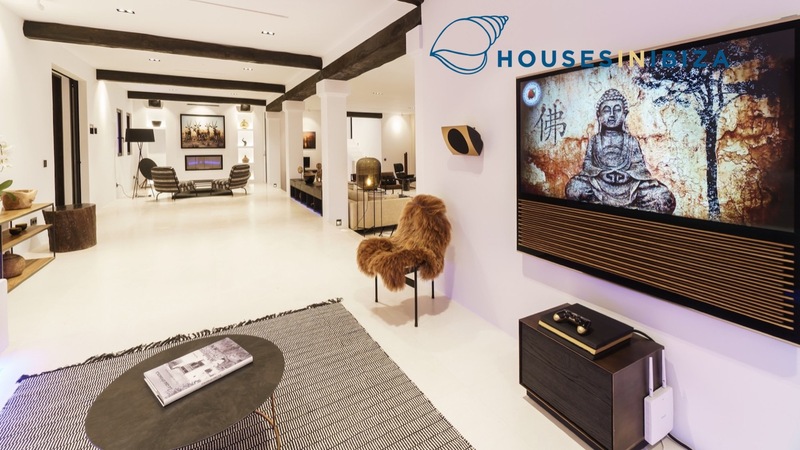 Can Haj is a large, exclusive and secluded property situated in one of the islands most sought after areas just minutes from the bustle of Ibiza town and its marinas. 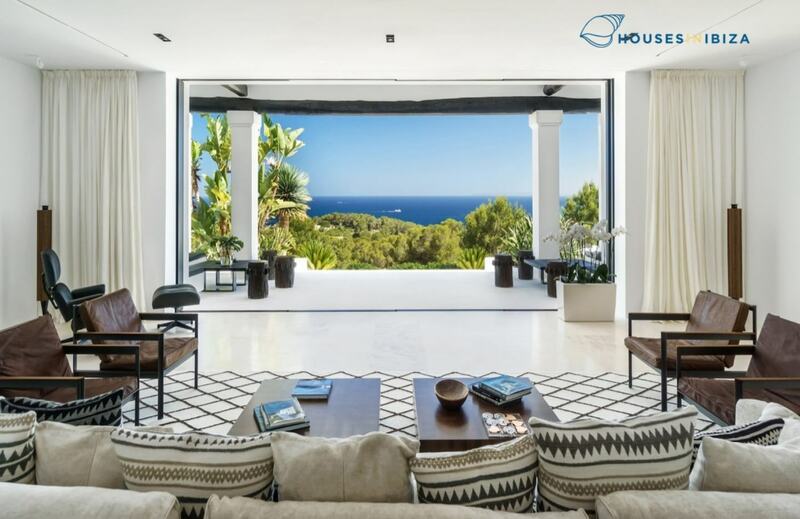 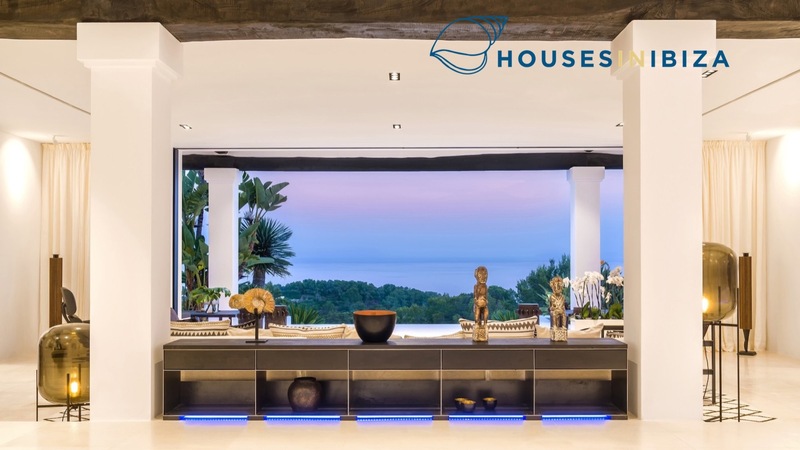 The house stands on a gated 15,000 m2 plot, offering one of the most spectacular views onto the open sea and the island of Formentera. 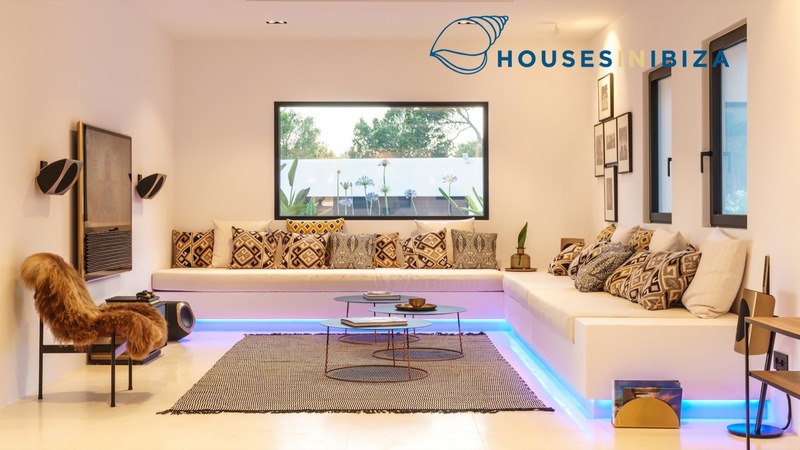 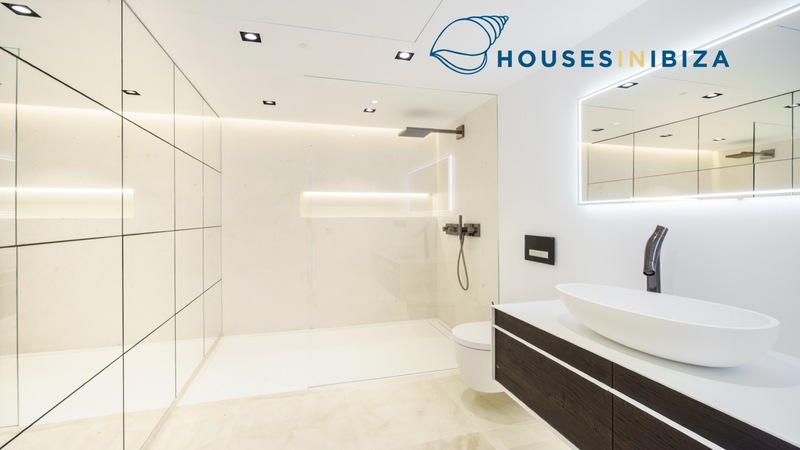 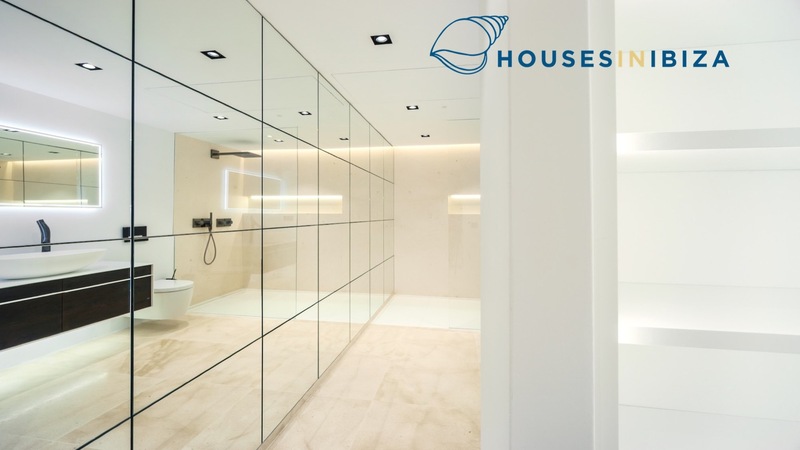 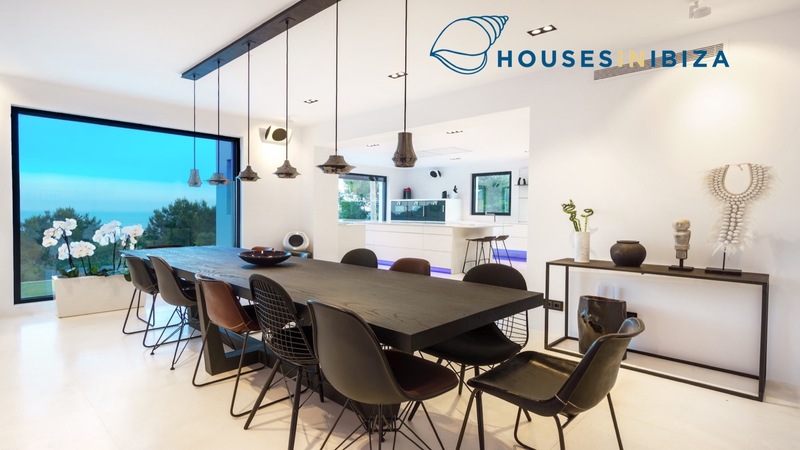 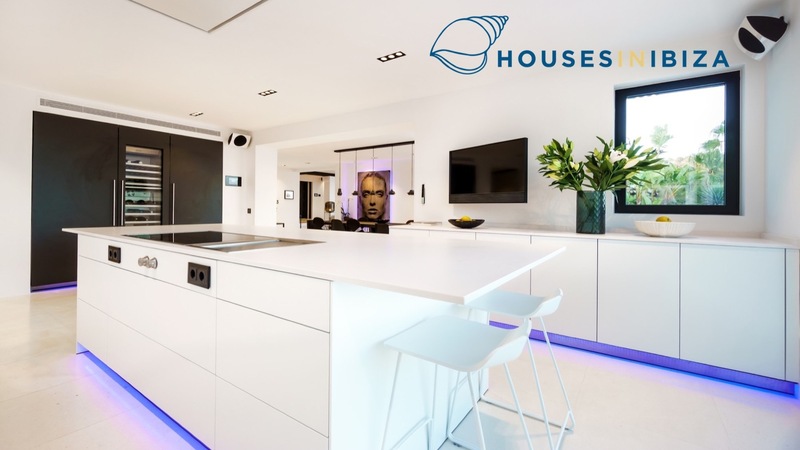 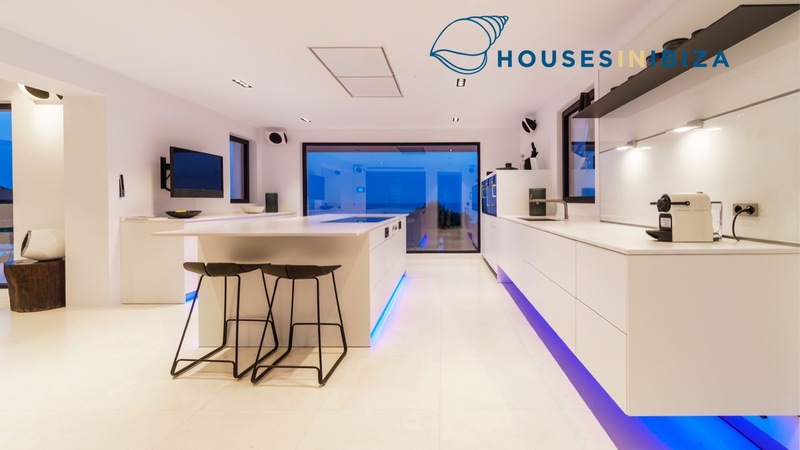 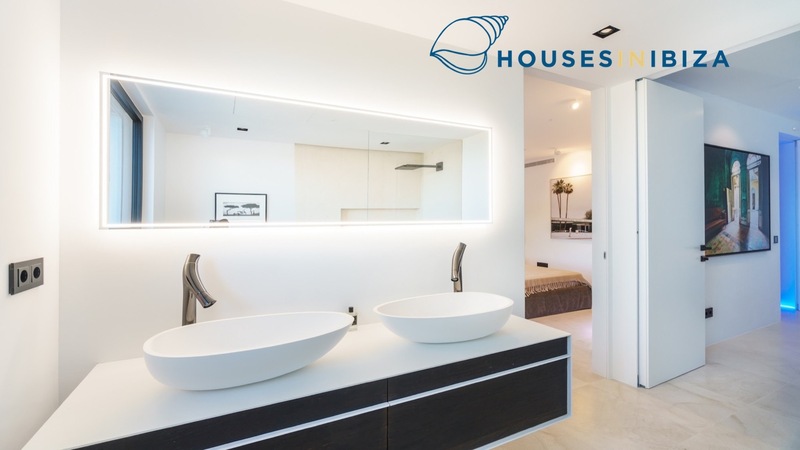 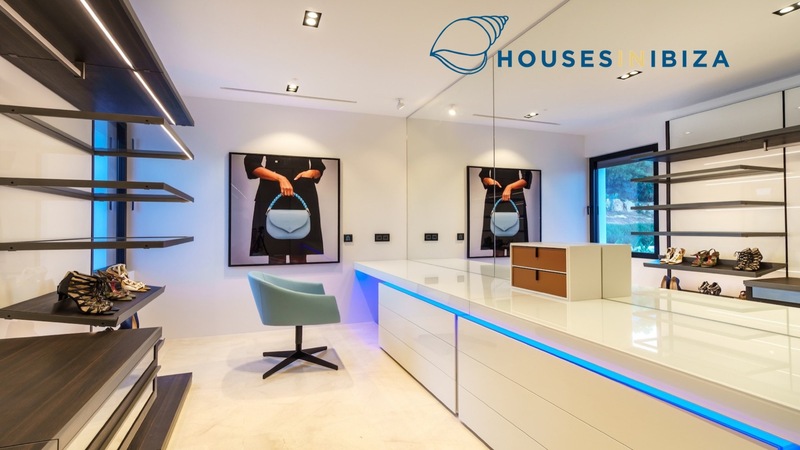 This recently renovated 500 m2 Blakstad house has combined elegant architectural line with state of the art technology and top of the class materials and leading designer furniture. 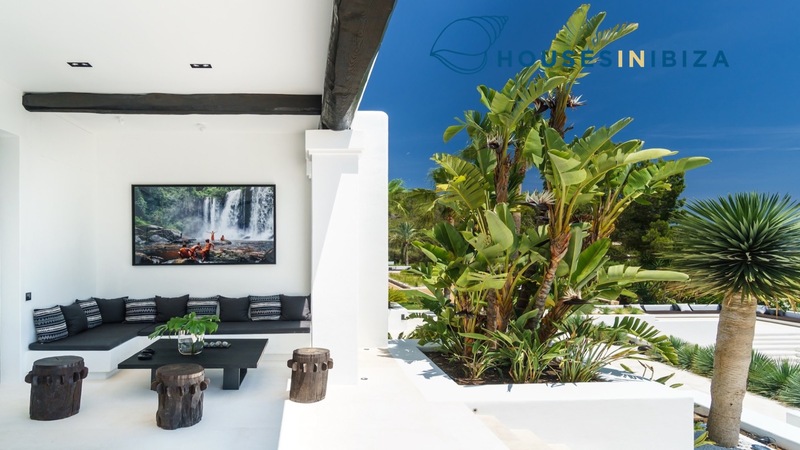 As we enter onto though the entrance hall, the ample spacious 120 m2 living room with a fireplace extends out to the shaded terraces and lounge areas outside and onto the pool and gardens. 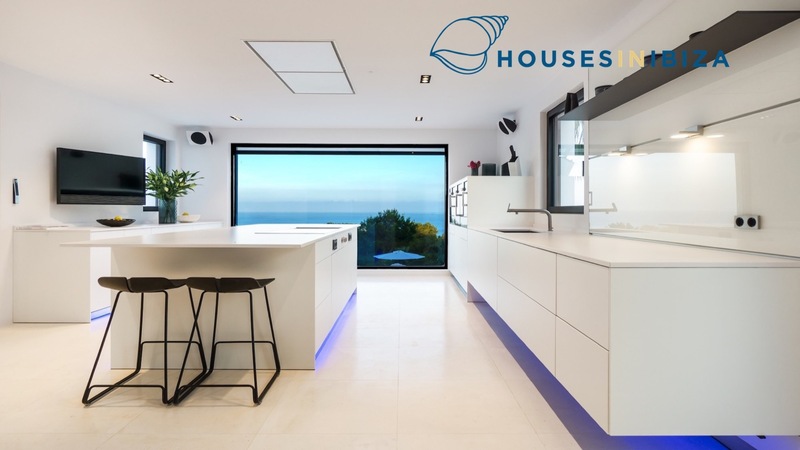 The large Bulthaup kitchen is equipped with the latest Gaggenau appliances and has 2 large fridges, a wine cooler, large oven, steam oven, cooking top & Tepanyaki, dishwashers, storage area and a private staff entrance and leads to a dining area with capacity for 12. 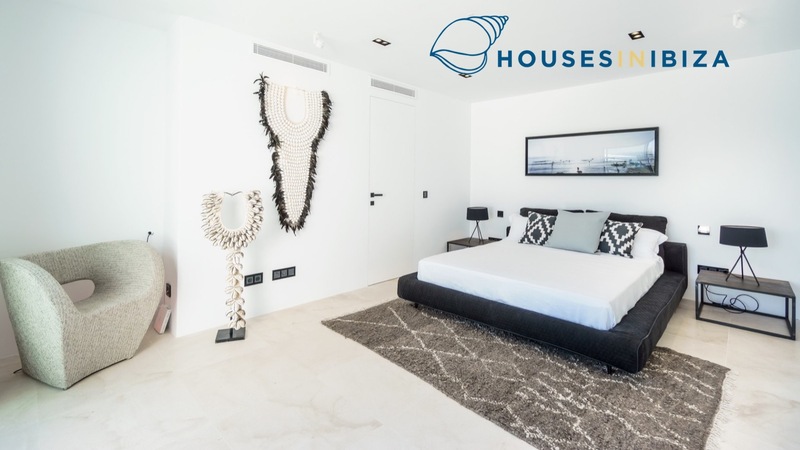 On the first floor the 70 m2 master bedroom, with its own 100m2 terrace ,walk in closet and en suite bathroom has extraordinary views onto the open sea. 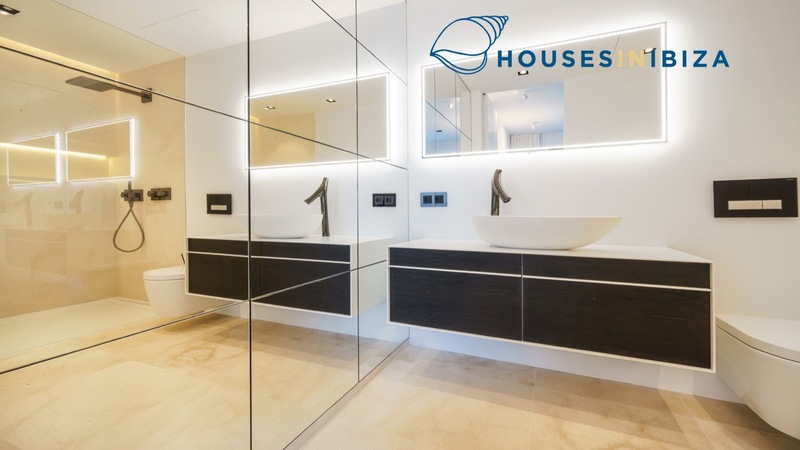 There are 5 other bedrooms, 3 with en suite bathrooms and custom walk in closets and 2 double bedrooms which share a bathroom. 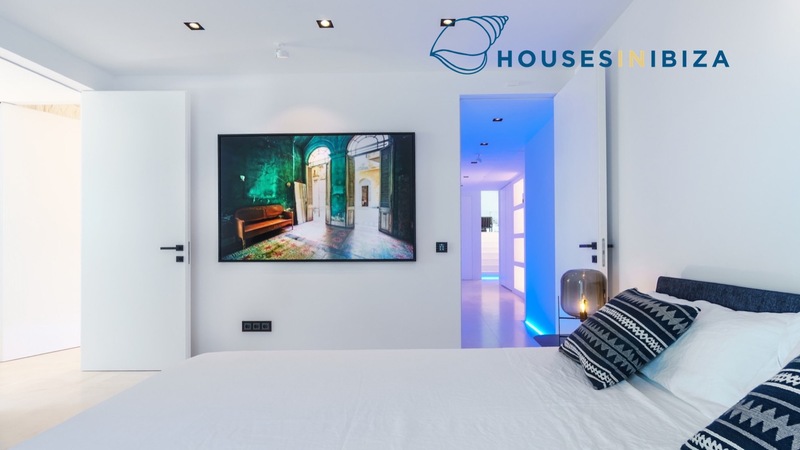 All rooms have air conditioning, optic fibre Wi Fi, Satellite TV and blackout shutters. 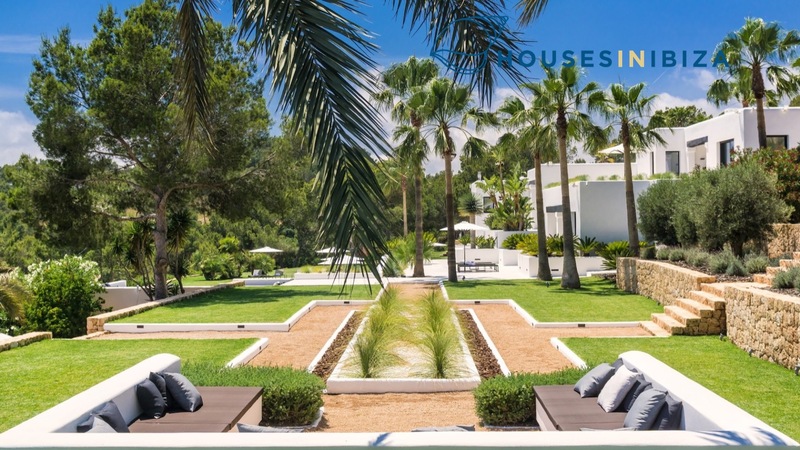 Outside the 15,000 m2 sub tropical lush gardens are well manicured offers different spaces as well as a large outside dining area with an outdoor open kitchen, a large 17 m x 6 m pool and a jacuzzi. 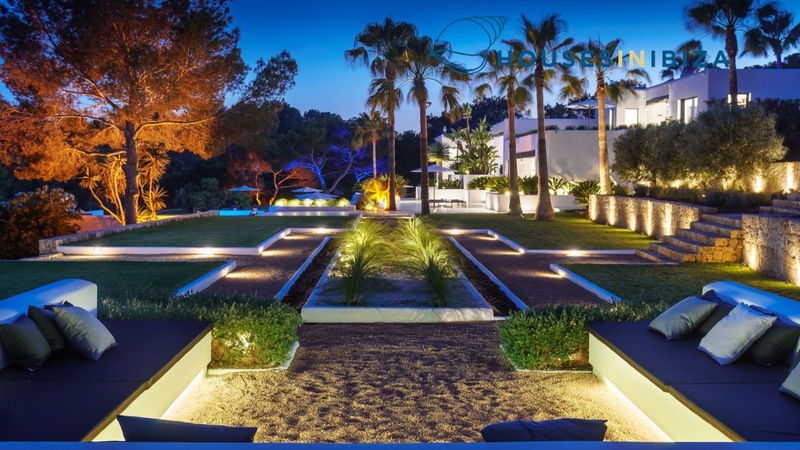 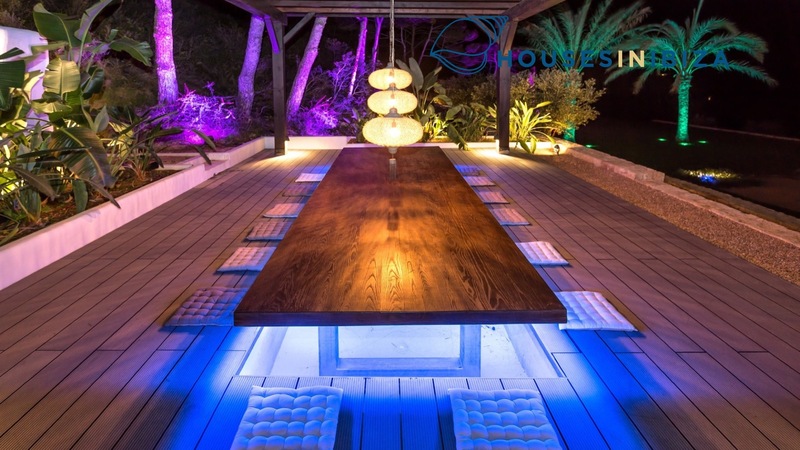 The 25 Bang and Olufsen speakers outside provide an excellent sound system and 55 the lighting groups create a magical night time ambiance.